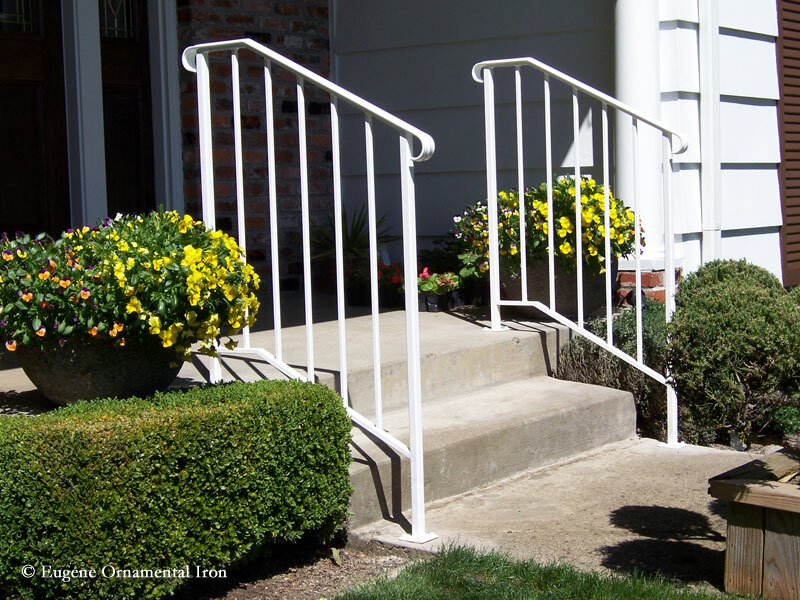 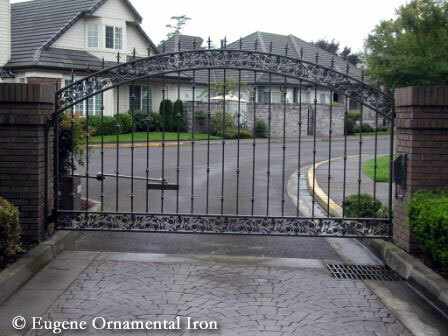 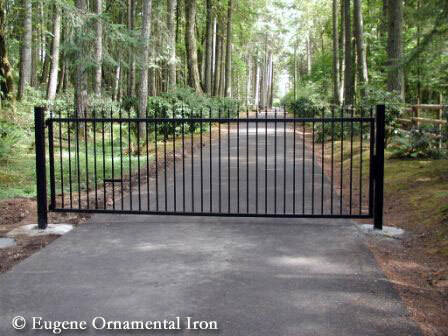 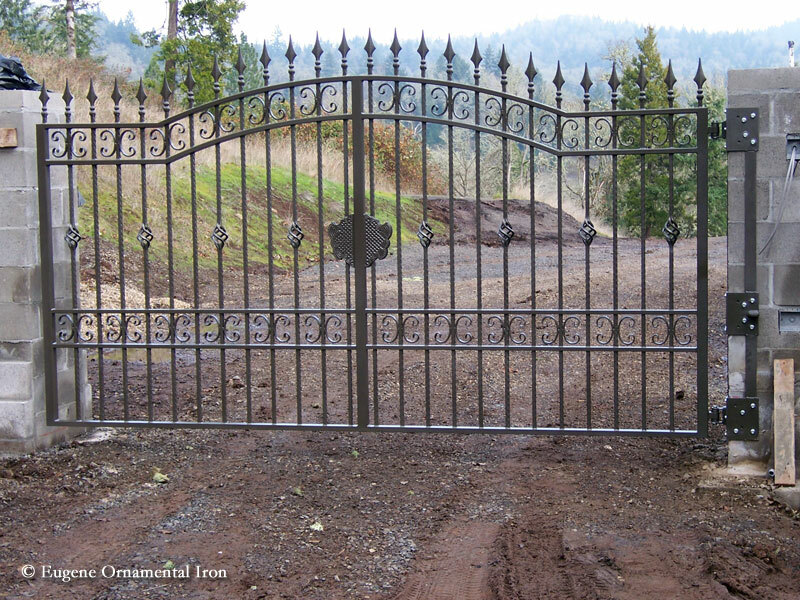 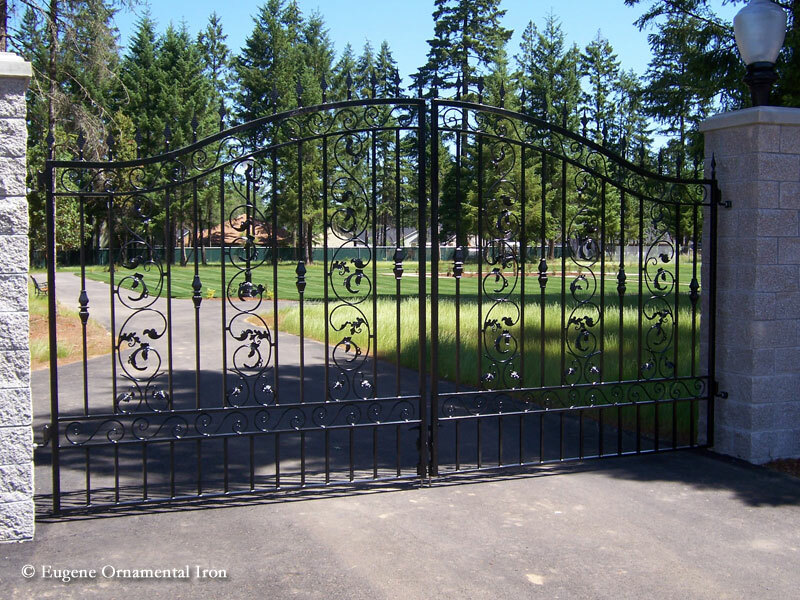 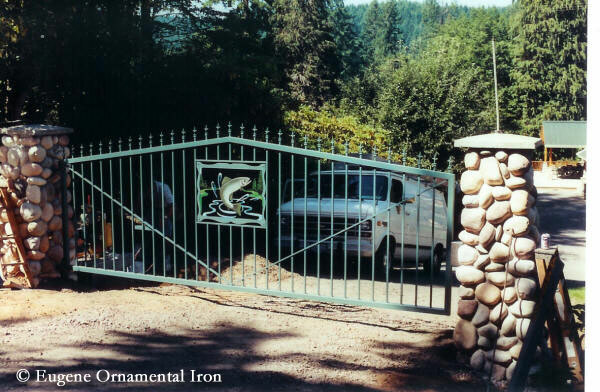 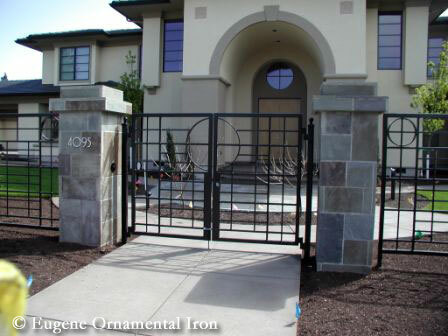 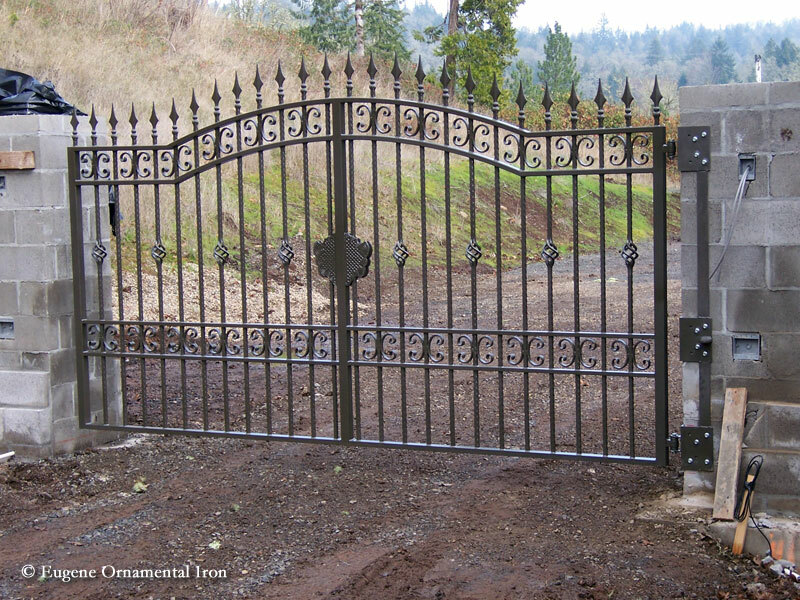 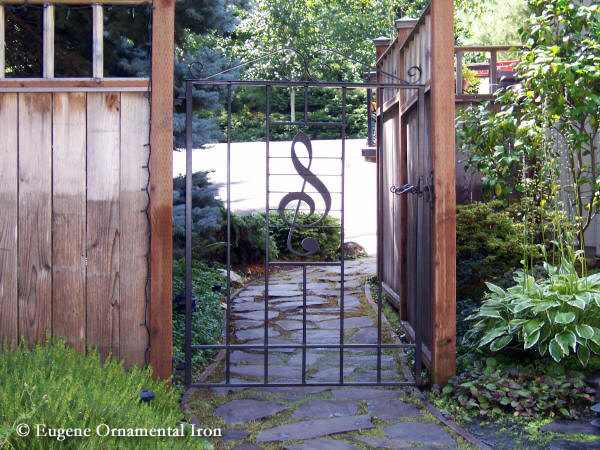 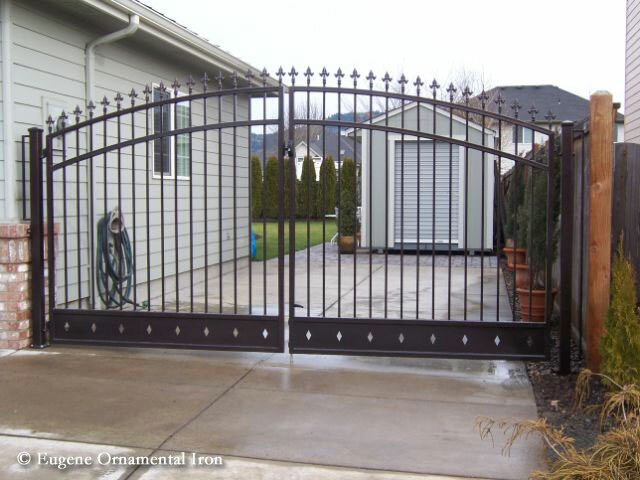 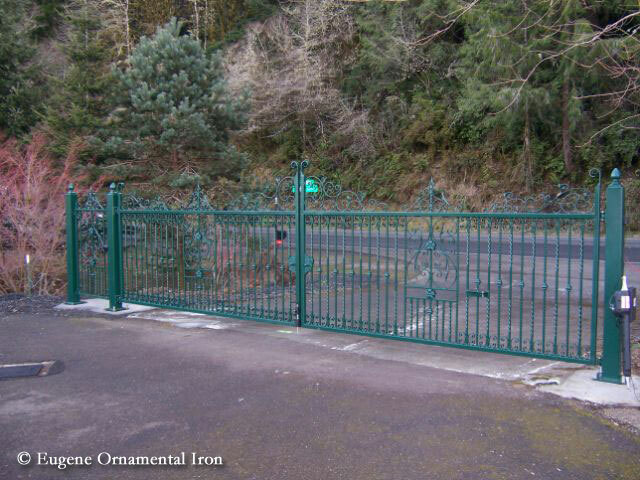 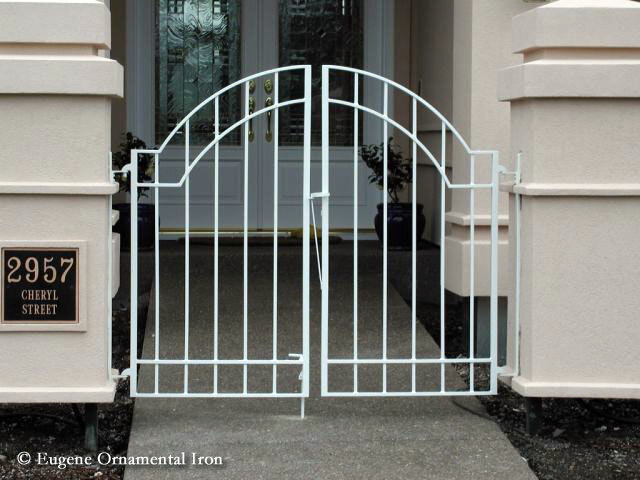 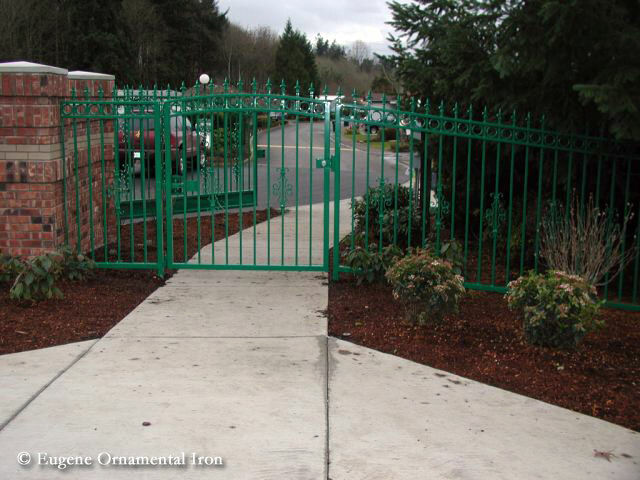 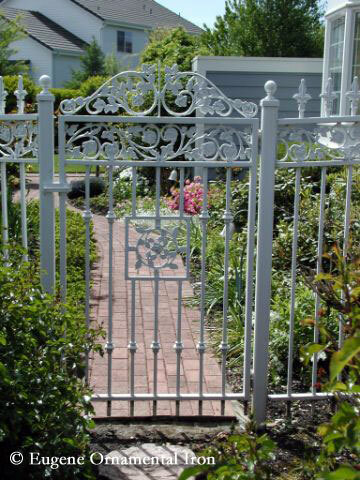 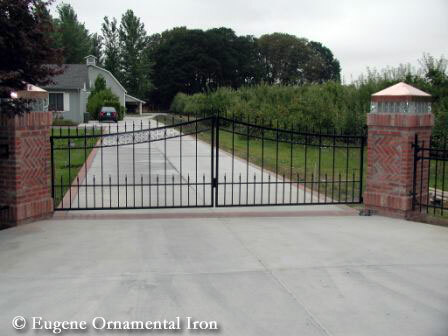 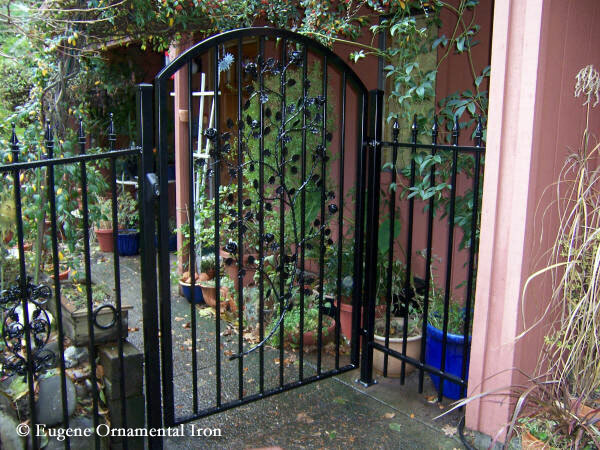 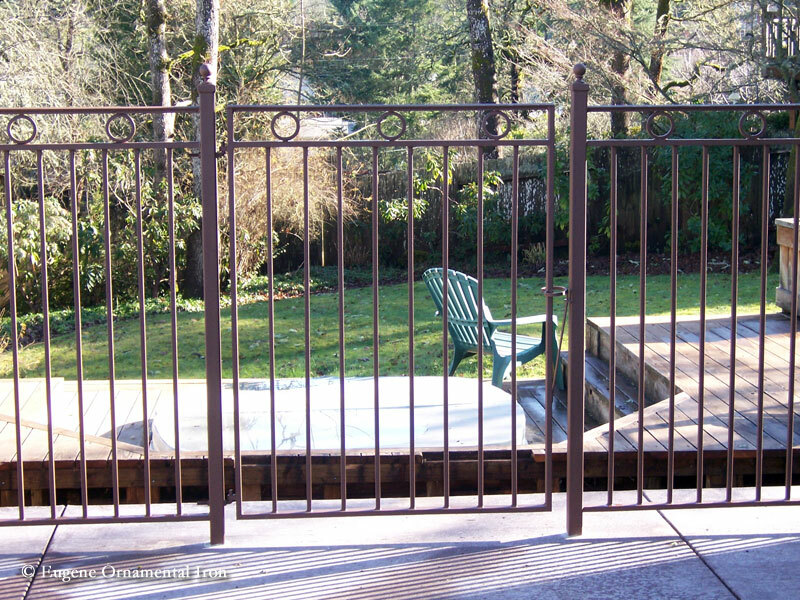 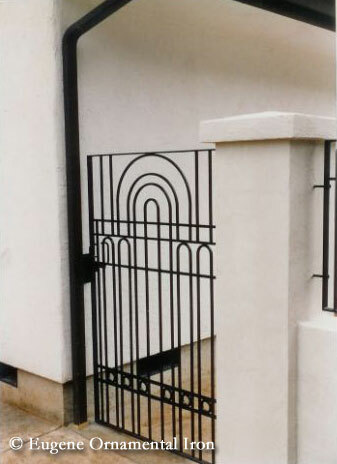 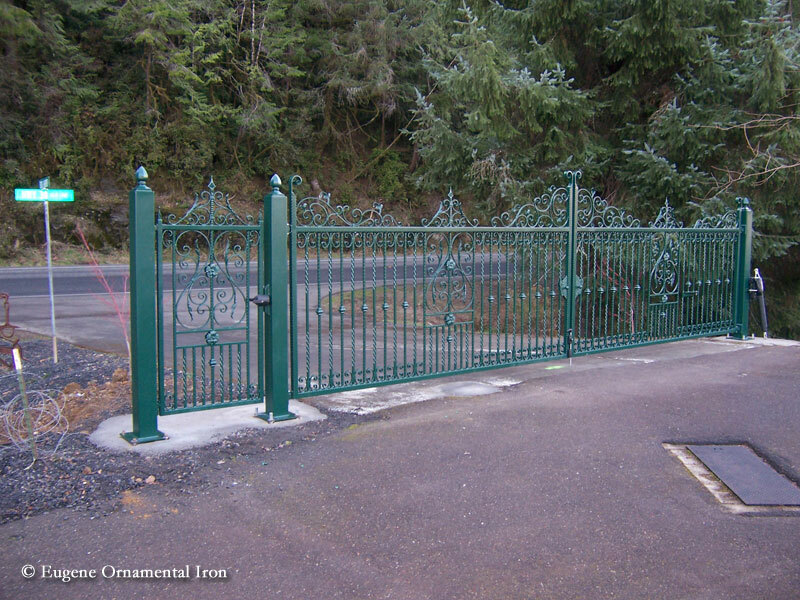 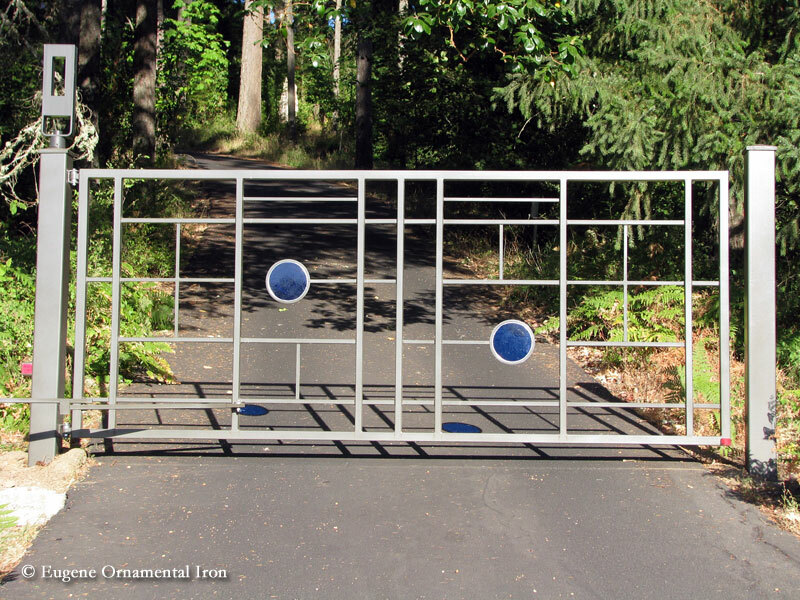 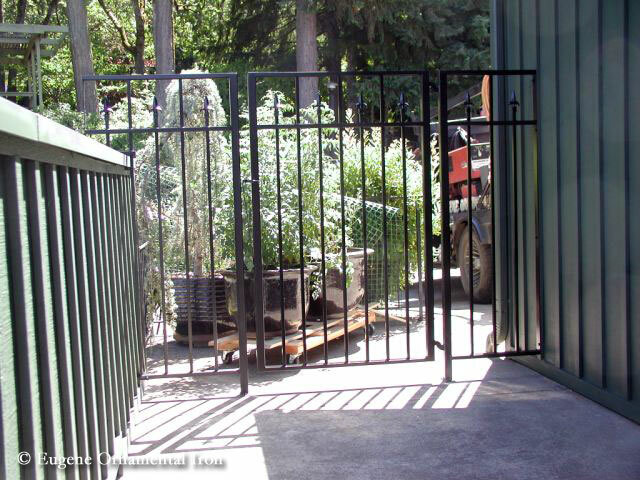 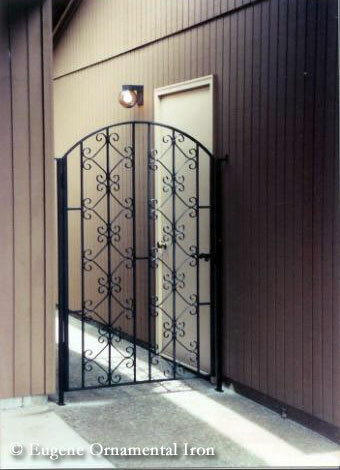 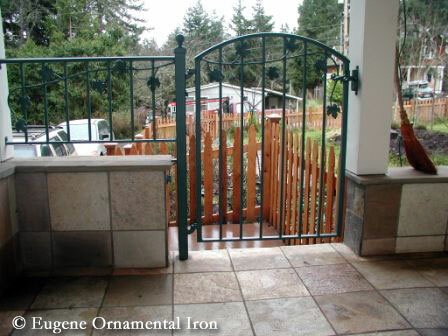 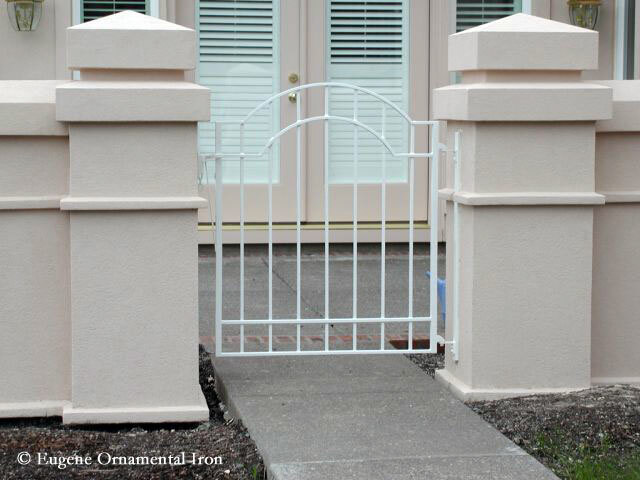 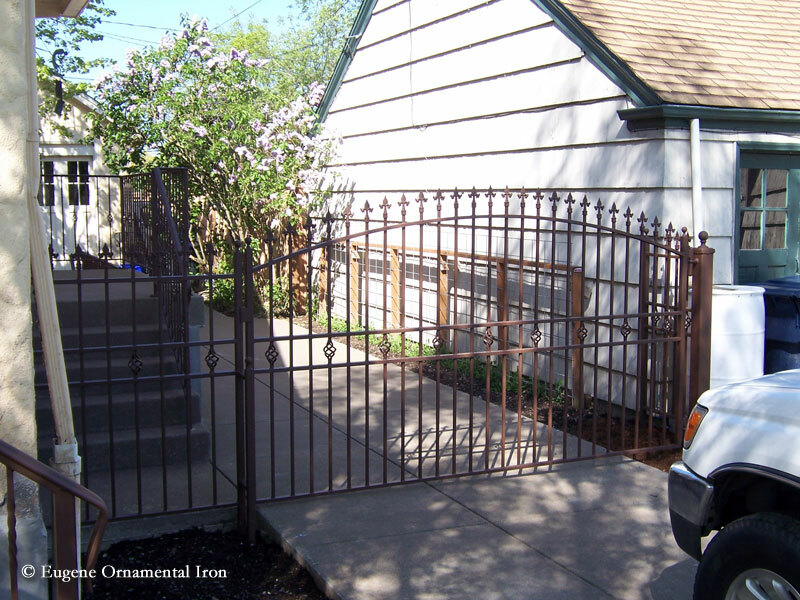 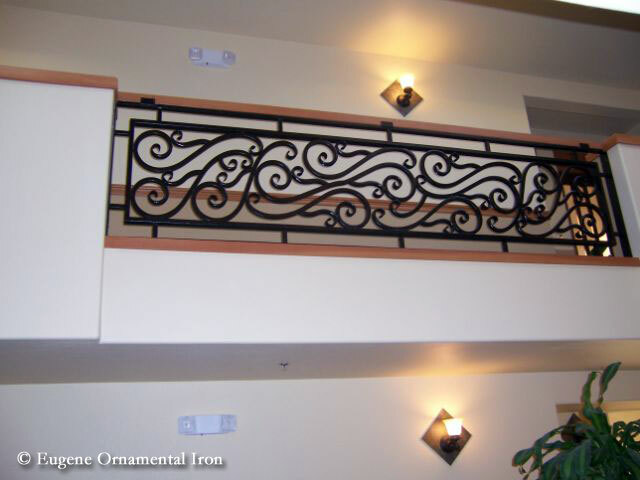 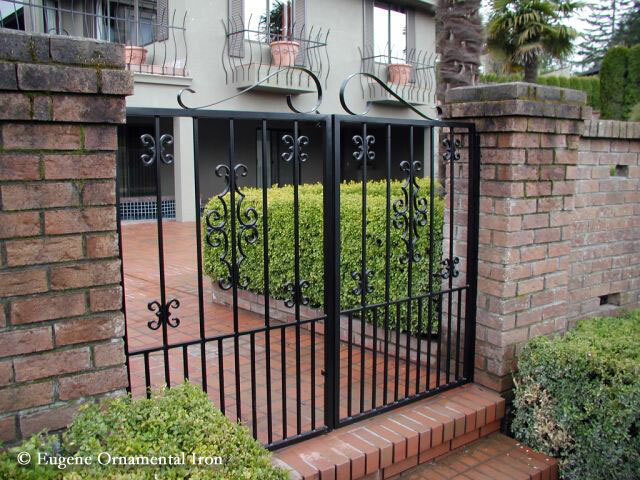 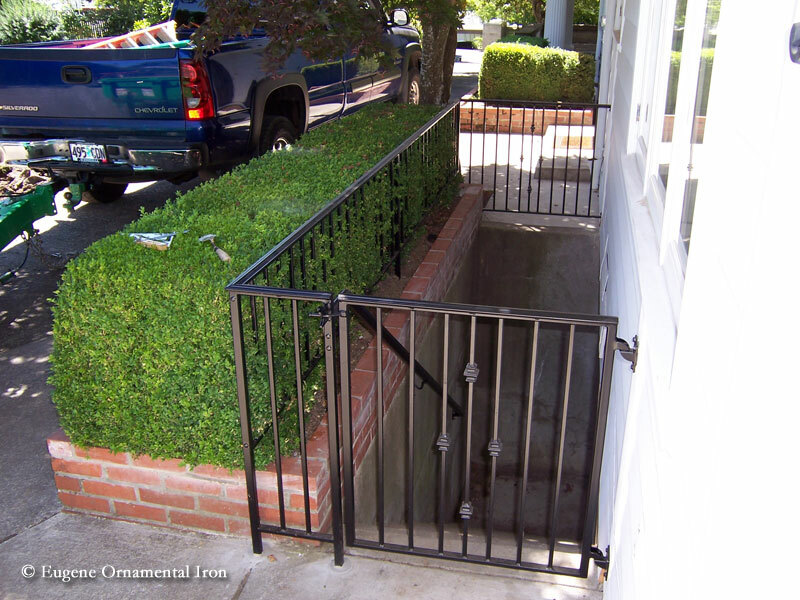 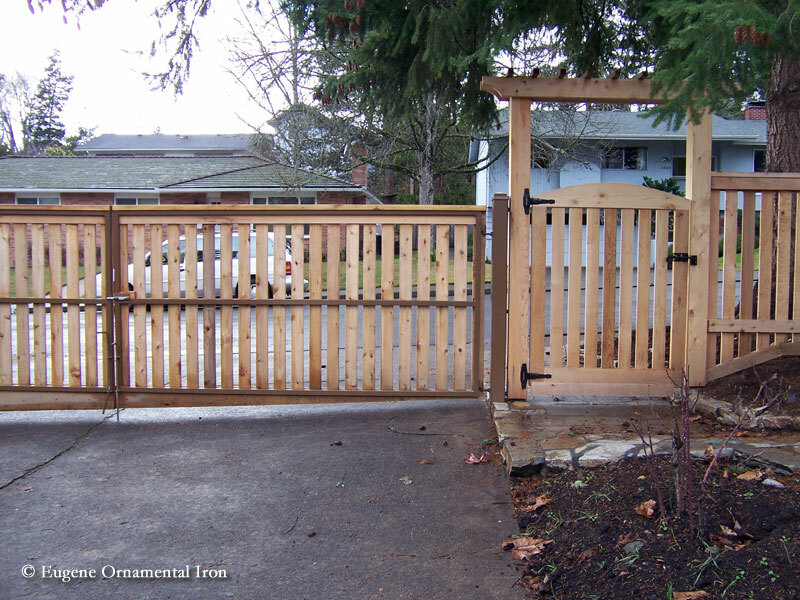 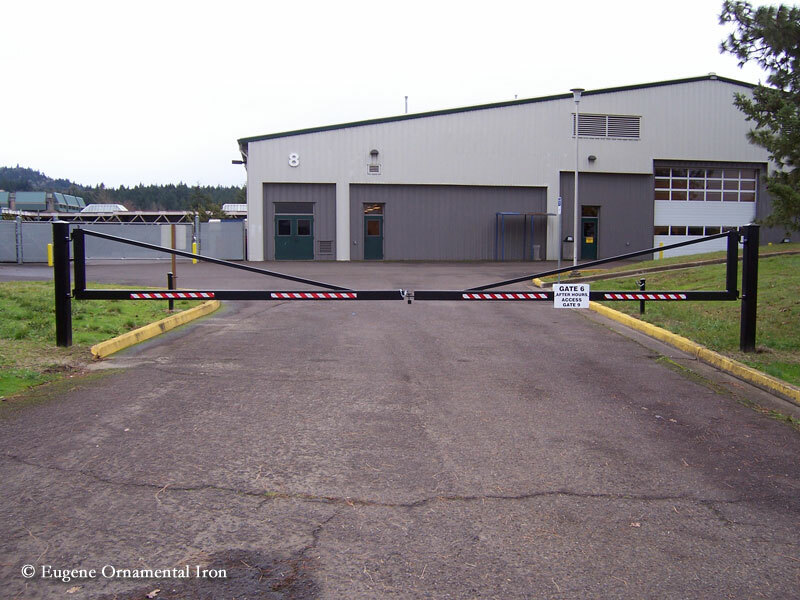 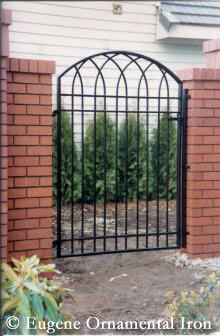 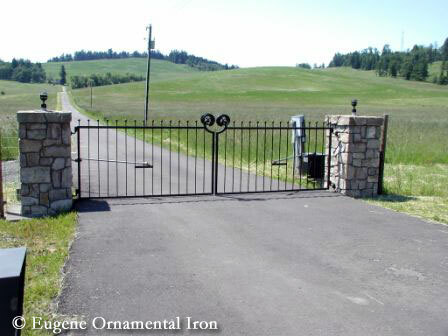 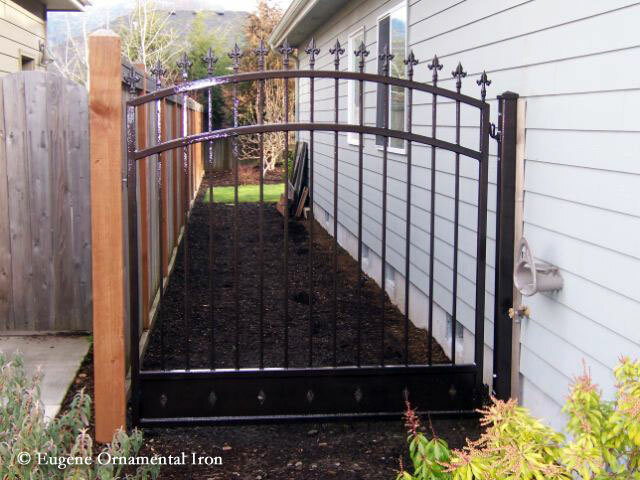 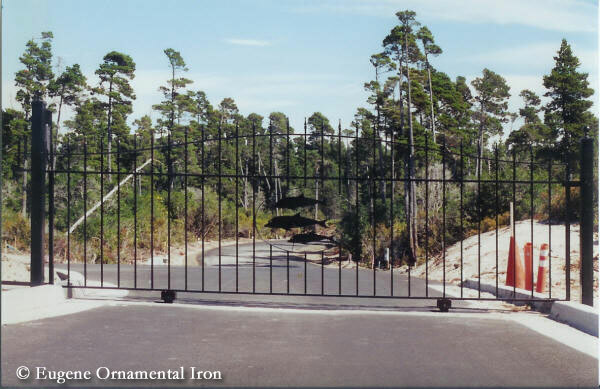 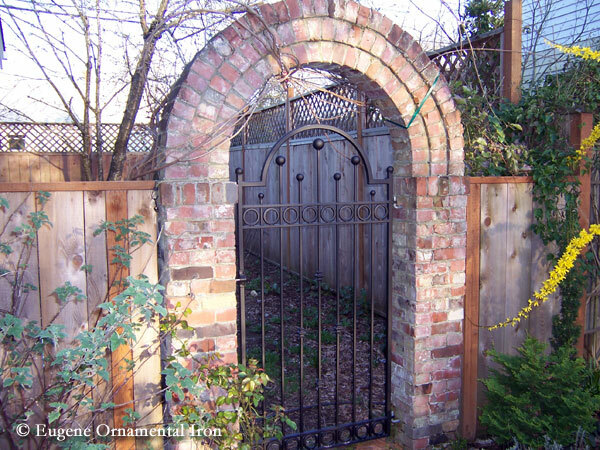 Eugene Ornamental Iron specializes in gates for both driveways and walkways. 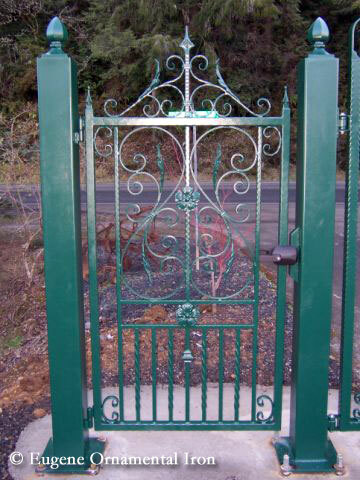 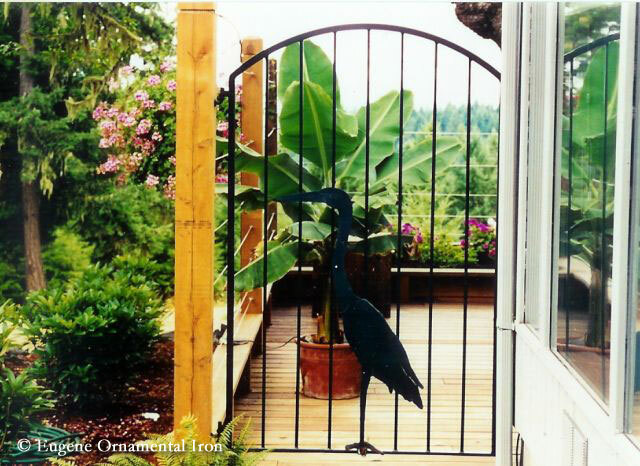 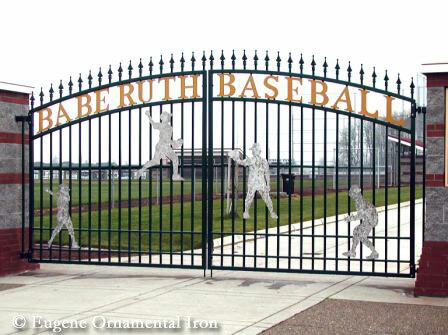 We can offer a wide variety of embellished options, powder coat colors, and can even incorporate mixed media such as wooden panels into our gates. 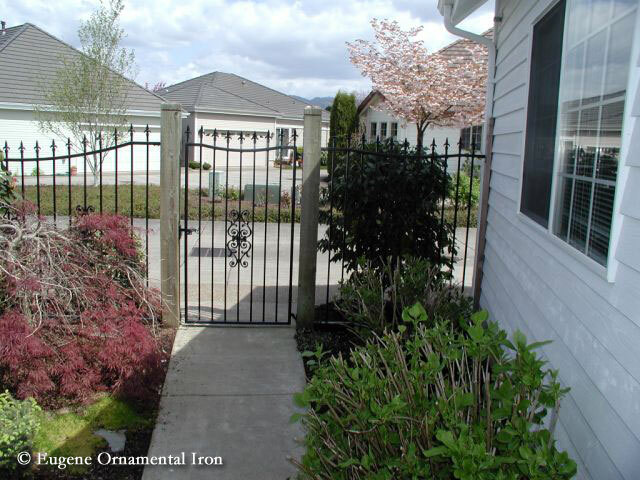 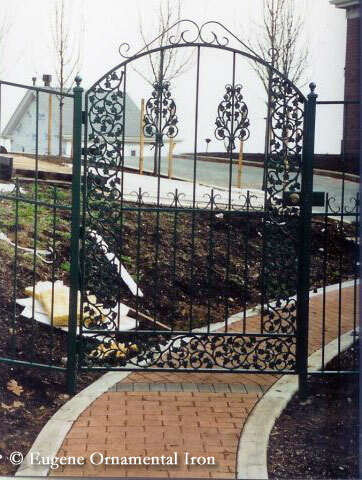 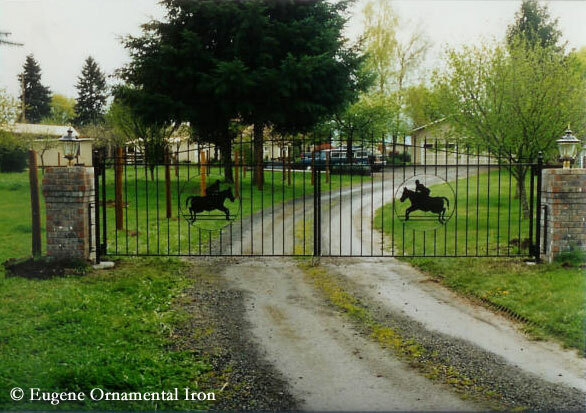 Please view our galleries below for some of the ornamental iron driveway gates and ornamental iron walkway gates we have created for our customers.